Congratulations with your 2018 VMware vExpert award! We do appreciate your efforts and contributions to the VMware community and therefor like to give you a free NFR license to Vimalin 2.0. 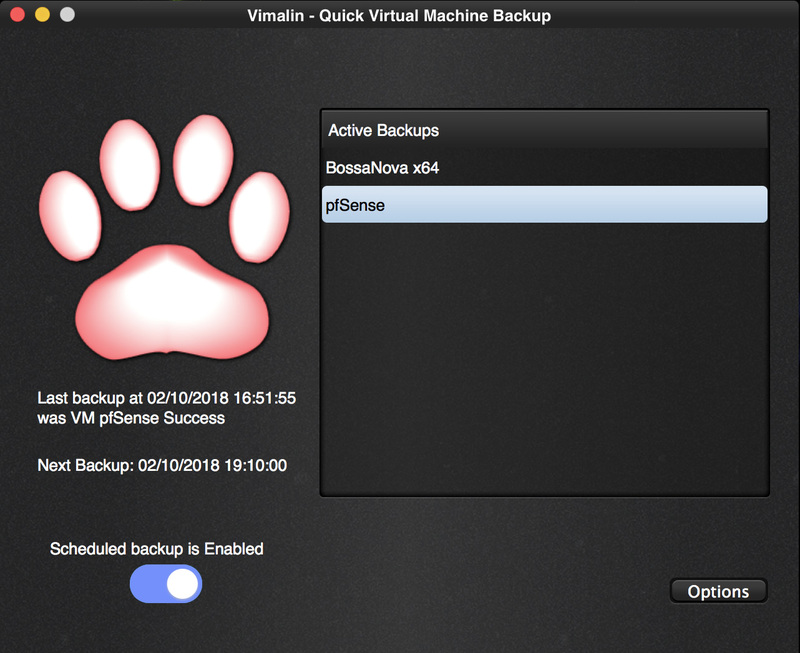 With Vimalin you can run the backups of your Fusion VMs automatically and stop having to worry that you forgot to make that manual copy. More details can be found at the main site. Please use the same email address as for your vExpert communications. and after verification of your details we will try to send a free license to your email ASAP.